Leading Women’s Breakthrough Leadership Assessment™ (BLA) is based on proprietary research into the expectations of boards and executives when evaluating candidates for advancement into executive positions. Within these broad categories, the specific experiences and capabilities sought in candidates form the BLA's survey elements. The BLA is administered as a 180º to women who are just entering into executive levels or who are poised to do so. 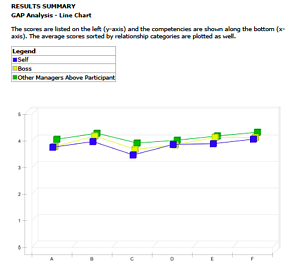 It gathers input from each participant’s manager and others above her in the organization. This is because (performance being equal) the perceptions of those above them (and the sponsorship that comes with favorable perceptions) are the most significant enablers advancement. Our clients use the BLA because the survey questions provide robust feedback that serves as a springboard for movement into more senior/executive positions. Whether they would be welcomed as a trusted member of a team above them? Whether they are perceived as demonstrating the strategic, business and financial acumen sought in high potential employees? Many bosses don’t think about giving input. 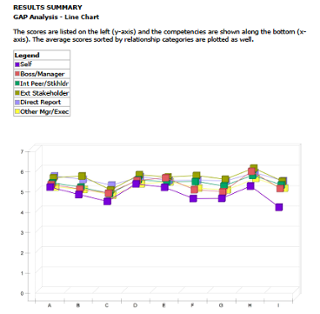 At the time it was developed, Leading Women’s LEA was the only 360º assessment to take a balanced look across the 3 key elements of leadership (using personal greatness, achieving outcomes, engaging others) and to focus on the areas where women are historically rated as underperforming men. These areas are proven to create substantial barriers to career success. This is why knowledge about how they are perceived in these areas is particularly important feedback for your women. This means that this is no ordinary assessment. It is neither a personality-based nor psychological assessment, it doesn’t measure preferences or attributes. The LEA creates the opportunity for your women to get valuable feedback about the behaviors that are correlated with leadership and career success. Our clients use the LEA because the survey questions provide robust data to support women’s continued success in middle management while providing springboard feedback for movement into more senior/executive positions. Interested in finding out more about how Leading Women can support the women in your organization on their way to the top? Contact us to learn more.